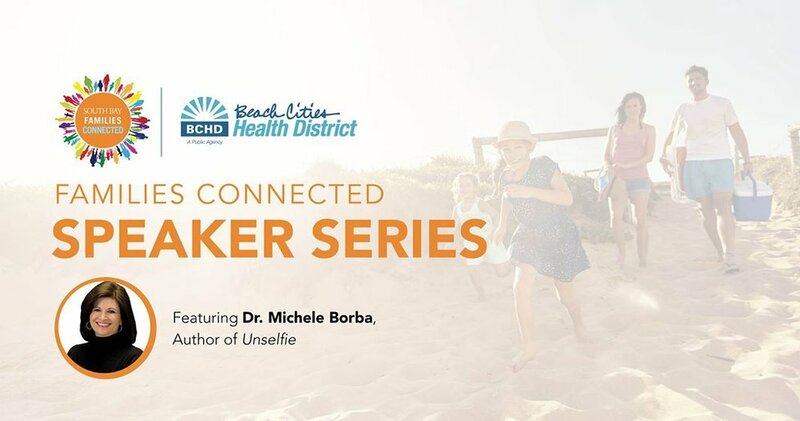 Dr. Michele Borba, author of Unselfie, is the first presenter in our spring Families Connected Speaker Series. All South Bay parents are welcome! This event is co-sponsored by Beach Cities Health District, South Bay Families Connected, the Manhattan Beach Unified School District, Hermosa Beach City School Strict, and Redondo Beach Unified School District. Registration is required for this free event. 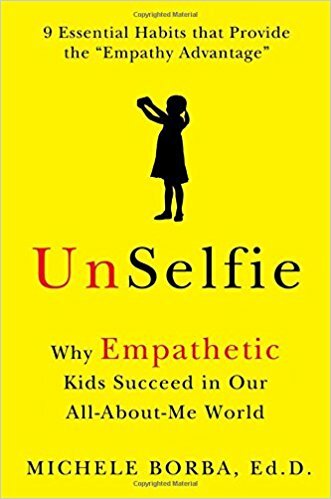 In her book, Unslefie, bestselling author Dr. Michele Borba offers a 9-step program to help parents cultivate empathy in children, from birth to young adulthood—and explains why developing a healthy sense of empathy is a key predictor of which kids will thrive and succeed in the future.